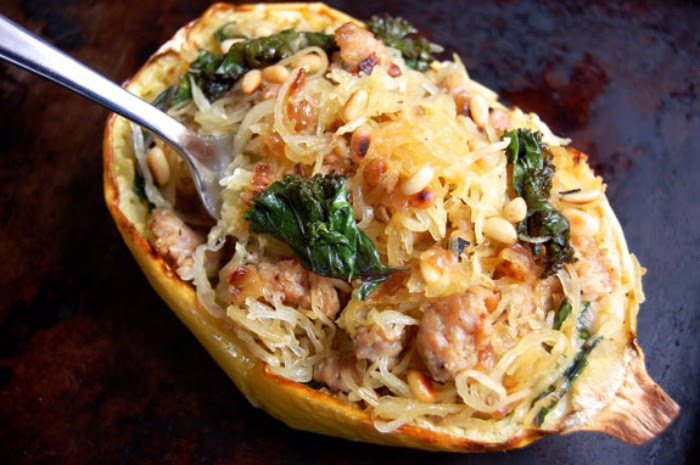 flavor, so you don’t have to worry about it overpowering whatever you’re cooking it with.You can use spaghetti squash in a recipe (like the ones below) or bake it, scoop it out into a Tupperware, and keep it in your fridge for up to a week. Heat it up with ground meat or veggies for a quick pasta meal!Here’s a quick trick to easily cut your squash in half: put it in the microwave for 1 minute before cutting.This will soften the squash just enough to make it easier to slide your knife into. Cut it in half (long ways) and remove the seeds. I recommend seasoning the squash at this point with a little bit of olive oil, salt and pepper before you bake it. After seasoning, put it face down on a baking sheet (you can line it with parchment to minimize mess), and bake according to the recipe! My go to: 400 degrees for 30-35 minutes or until the squash has some give when you poke it. 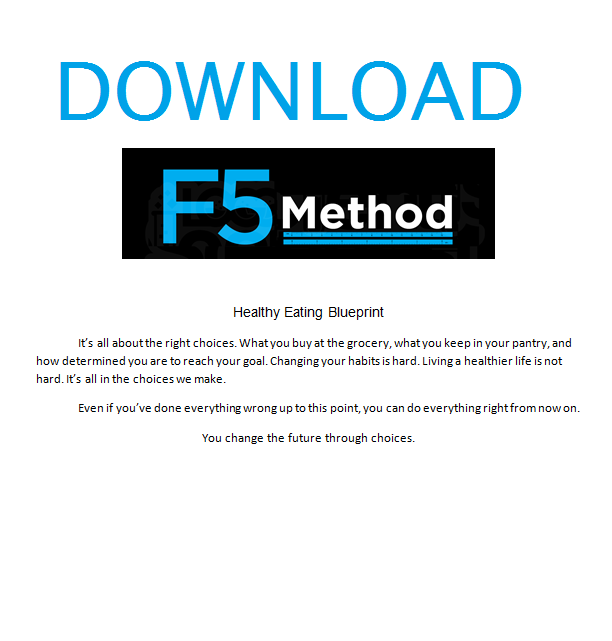 Check out some make ahead spaghetti squash recipes below! Nutrition Facts per serving: 490 calories/24g Protein/ 29g Carbs/ 31gFat**27g of Fat and 18g protein come from the Italian sausage (I used Johnsonville Italian sausage)- for a lower fat option, substitute a leaner ground meat. 2. Cut your spaghetti squash in half and use a spoon to remove the seeds and excess threads from your squash. Use some muscle. 3. Place open side down on a baking sheet and bake for about 30-35 minutes or until you can press into your squash and it gives a bit. 4. While your squash bakes, heat up a large pot under medium-high heat and add your Italian sausage. Break up with a wooden spoon or spatula. 5. Once your sausage is cooked through, remove with a slotted spoon and put in a bowl. 6. Keep the extra fat from the meat in the pot, add your minced garlic and add your kale, onions, and chicken broth. Combine. 7. Then add your coconut milk and spices. Cover and let simmer for about 5 minutes. 8. Pull your spaghetti squash out of the oven and dethread with a fork. 9. Once your kale is wilted and onions have begin to become translucent, remove from heat and add your spaghetti squash as well as your egg to the kale/onion mixture. Mix thoroughly. 10. Then add your cooked Italian sausage and mix together. 11. Place the mixed ingredients into a baking dish (or same pot if it’s oven safe) and spread out evenly. 2. Slice the spaghetti squash lengthwise and scoop out the seeds. Place the two halves face-down on a baking sheet and place in the oven to bake for 30 minutes. 3. While the squash is cooking, get the sausage going. Heat a large pan over medium heat and add in the sausage. Break it into pieces with a spatula and cook, stirring occasionally, until browned and cooked through, about 8 minutes. Remove from pan and set aside. Reserve at least 1 tbsp of fat in the pan for the sauce you’ll make later. 4. Remove squash from oven after 30 minutes and set aside to cool. Keep the oven on at 425 degrees. 5. While the squash is cooling, prepare the creamy garlic sauce. Heat the same pan you cooked the sausage in over medium heat. Once hot, add mushrooms and cook until they begin to soften, about 2 minutes. Add in the arrowroot flour and crushed garlic and stir around to mix well with the mushrooms, about 1-2 minutes. Stephanie has seen results in just a few weeks!